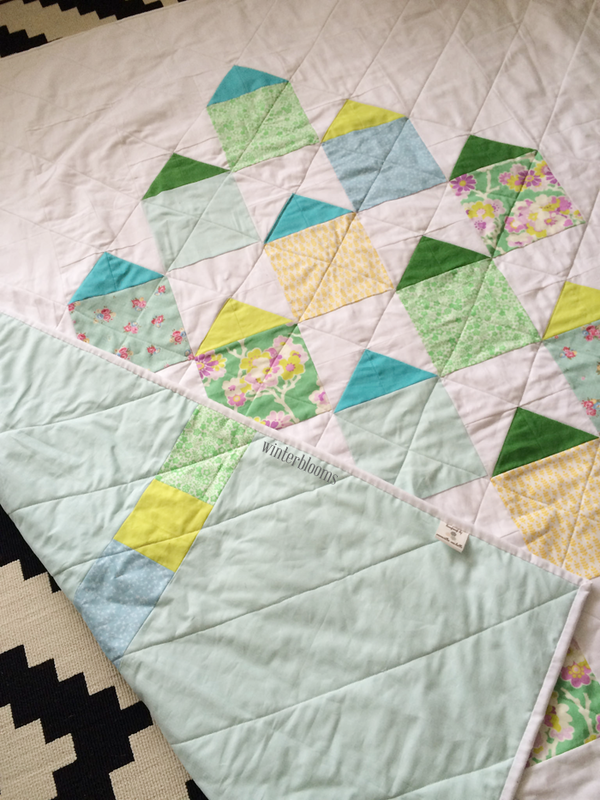 Okay, so my quilting lines still aren't all that straight - it's probably going to take awhile to get those worked out - but here's a quilt I made about a year ago (!) as a Christmas gift to my grandmother. 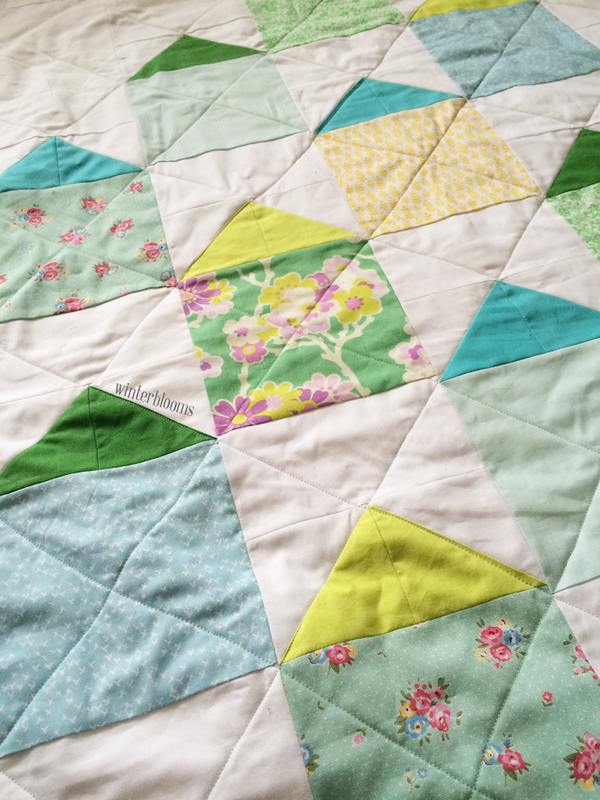 I made these out of some leftover fat quarters that I kind of scraped together after buying the solids as a test for the wedding quilt I put together before this one. 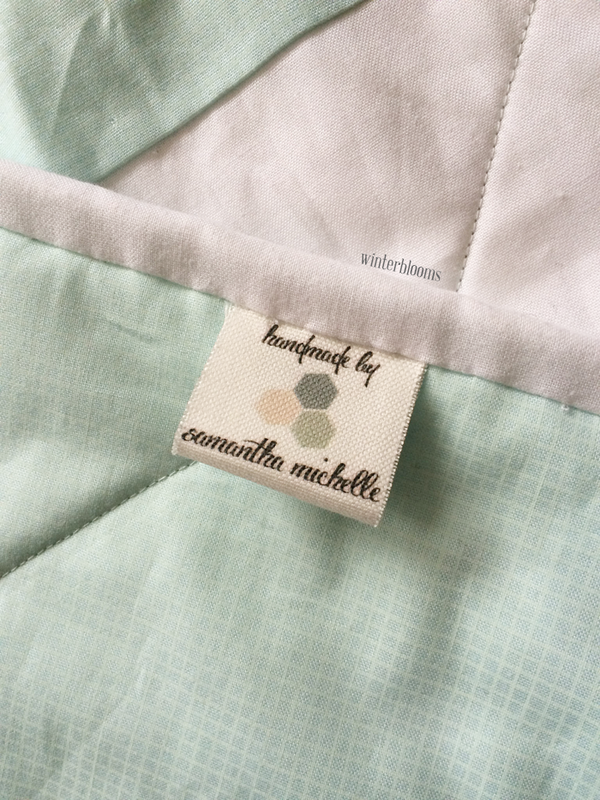 This was also the first quilt that I took the time to make up some personalized quilt labels. 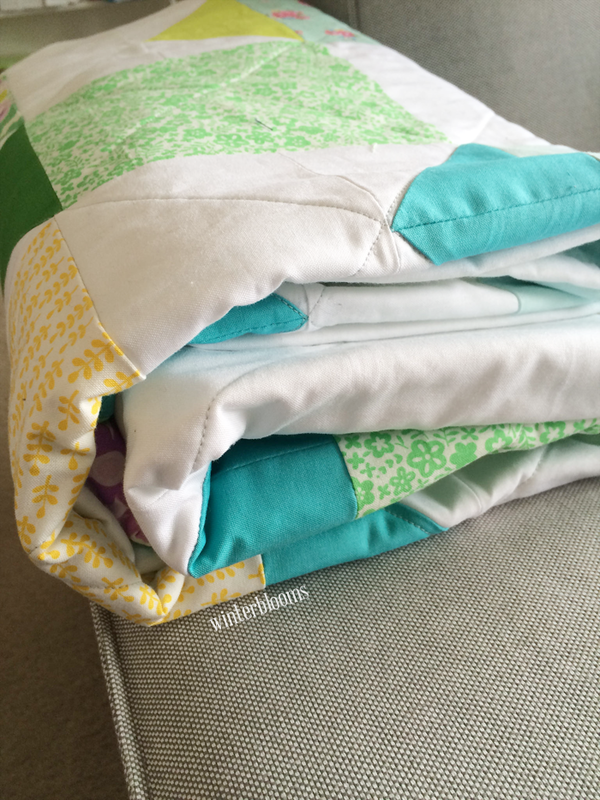 I love the idea of these, especially when I'm making quilts that are given away to people a lot of the time.